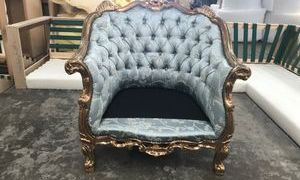 Before re upholstery customer wanted frames painted gold and re upholstered in a gold and blue fabric. 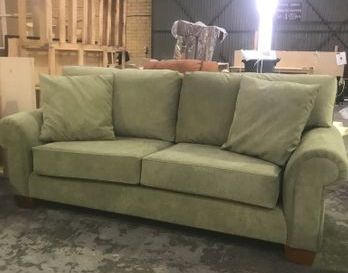 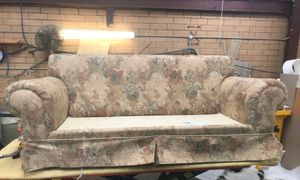 Before re upholstery customer wanted to pass down chair and sofa set to son as a surprise and to make the sofa more modern. 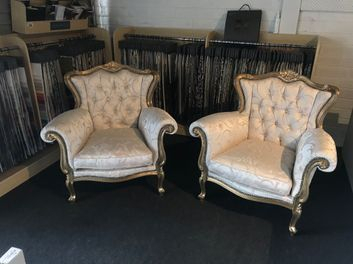 before re upholstery a repeat customer from a few months ago brought two chairs in to be painted gold and re upholstered in a white and gold fabric. 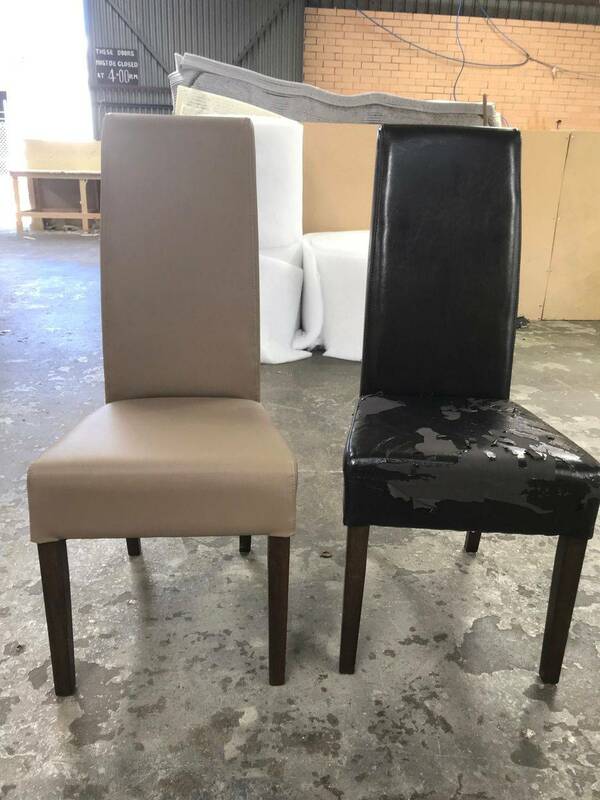 After re upholstery again the customer was absolutely blown away with the finish and look of her new chairs. 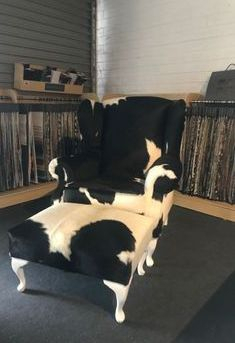 Before re upholstery the customer spent months in conversation trying to find the right cow hide pattern to re upholster her chair into a piece of art. 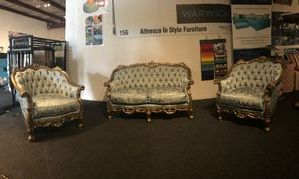 After re upholstery. 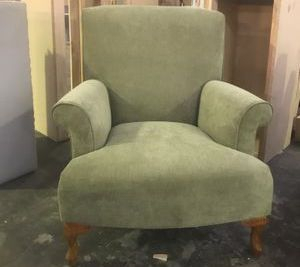 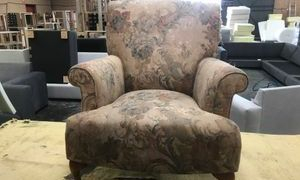 And we didn't disappoint the customer was blown away with the finish on the chair as she called it a piece of "Art"
Before re upholstery of a antique wooden wing chair. 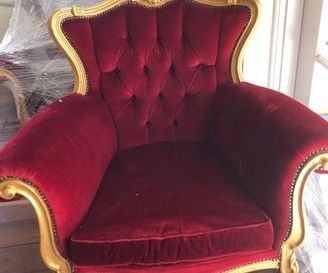 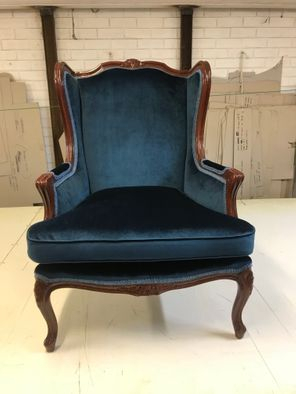 After re upholstery done in a blue velvet the customer was over the moon with the finish on this chair she was in awe on arrival. 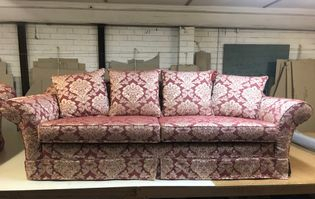 Moran 2 3/4 seater slip wash re upholstered in winslow bordeaux by warwick. 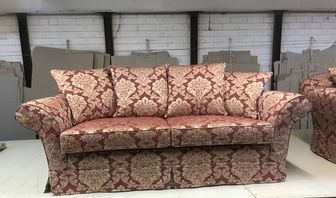 Moran 2 seater slip wash re upholstered in winslow bordeaux by warwick.